Why would I need self storage in Upper Darby, PA? There are a variety of reasons why you might need self-storage in Upper Darby, PA.
How much is a storage unit in Upper Darby, PA? The cheapest storage unit in Upper Darby, PA is $64.00 per month. What size storage units do you have available in Upper Darby, PA? In Upper Darby, PA we have sizes that range from 5'x5' to 10'x30' to suit your storage needs. How much is it for a 5'x5' storage unit in Upper Darby, PA? The cheapest 5'x5' storage unit in Upper Darby, PA is $73.00 per month. Upper Darby is a large, thriving township located less than 3 miles from the heart of Philadelphia. It's home to a very diverse population, welcoming people from more than 100 different ethnic cultures. Most locals commute to Philadelphia for work, within just a few minutes. 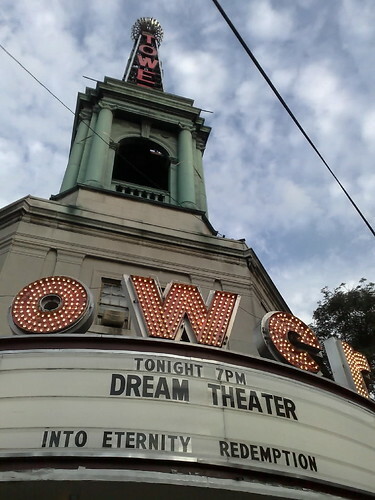 One of the most notable landmarks in Upper Darby is the Tower Theater, a 1920s theater that's hosted many concerts and recording sessions for well-known musicians including Bruce Springsteen, Phil Collins and Pat Benatar. Upper Darby started out as a small part of Darby Township. English and Swedish immigrants settled Darby Township in 1683, but people inhabited the land long before that. The Lenni Lenape natives lived along the Muckinapates Creek for centuries before European settlers arrived. Lower Swedish Cabin, which is Pennsylvania's oldest building and one of the oldest log cabins in the United States, was built around 1640 by Swedish immigrants. While the population remained sparse for many years to come, the area had mills and farms that provided meat, vegetables and other necessities to those living in Philadelphia. On August 31, 1736, Upper Darby became incorporated separate from Darby Township for its residents' convenience. In 1830, the growth rate of the township changed dramatically when textile mills moved into the area. Before then, most textiles were made at home to meet the family's needs. However, when old grist-mills were converted to spin yarn, the textile industry began to take off and lasted well into the mid-1900s. Upper Darby is divided into several residential neighborhoods filled with a mix of rowhouses, turn-of-the-century single family homes and quirky, mid-century buildings. The diversity of the community has enriched the local culture, bringing a number of ethnic businesses and restaurants to the area. In addition, Upper Darby sits less than 3 miles from Philadelphia's city center, making it feel like an extension of the bustling metropolis. You'll find that Upper Darby offers a mix of arts and culture, shopping, dining and recreation, with something for everyone to enjoy. The Upper Darby Performing Arts Center hosts more than 100 performances a year, including traveling theater shows, nationally-recognized musicians, cultural performances and youth theater and music. It's also home to one of the country's most successful youth theater programs, in operation for more than 35 years and offering programs for children of all ages. More than 25 parks and recreational facilities feature green space, children's playgrounds, athletic fields, walking trails and more. You can participate in the Community Swim Program at the local aquatics center, and senior citizens can partake in several classes and activities at the Senior Center. Students living in Upper Darby attend schools in Upper Darby School District. The district has a Kindergarten Center in addition to its elementary, middle and high schools. There are also several private and parochial schools in Upper Darby, as well as an adult education center. Post-secondary education is offered at the Delaware County Community College. Utilities: PECO and Aqua American are major utilities providers in the area. Garbage and Recycling: The community is divided into several collection zones, with each zone assigned specific days for trash and recycling pickup. Transportation: Upper Darby is part of the large SEPTA transit network, which serves the majority of communities in southeastern Pennsylvania, including the downtown Philadelphia area. You'll find a wide variety of housing options in Upper Darby, ranging from high-density rowhouses and apartment buildings to midsize, single-family homes with backyards. On average, prices are very affordable, especially considering the convenient location and plentiful amenities. You can find both established homes and new construction, so it should be easy to find something budget-friendly that meets your specific needs. Our lowest priced units in Upper Darby, PA average $74.33 per month. 250 people have reserved units in Upper Darby, PA in the past 30 days. There are 3 locations within Upper Darby, PA's city limits.